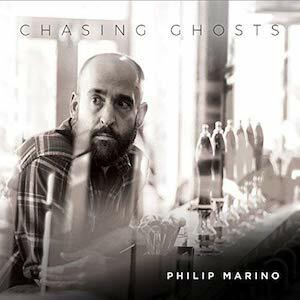 Philip Marino is an American singer-songwriter who resides in Essex, England. He is influenced by the likes of John Mellencamp, Jim Croce, Cat Stevens, Neil Young and Bob Dylan, and you can certainly hear this in his latest offering ‘Chasing Ghosts.’ A fine record, it is his fourth offering and most definitely worth a listen. Kicking off with ‘The Way it Goes,’ we are instantly taken in by Marino’s gravel voice, not dissimilar to Eddie Vedder. We are provided with an immediate lyrical statement of intent: ‘…in my life I’ve lost my way…….well I rolled the dice and I hoped I’d win’. There are undoubtedly some English folk influences here, enhanced with some subtle and effective slide guitar. In the reflective acoustic track, ‘In My Blood,’ Marino tells us “I have my father’s hands and my mother’s laugh.” This song gets a lift with some lovely backing vocals from Louisa Charrington, which add an extra pleasant texture. Some nice bass work from Charlie Charlton in ‘Try’ provides a solid platform from which we are told to take a chance on love ‘…before we go cold’. This leads nicely into the title track – ‘Chasing Ghosts,’ the stand out song of the album, upon which there is a very strong John Mellencamp influence. A personal touch here as a peace is made with the past in order to provide a positive future. ‘This Time’ opens strongly with Marino sharing, ‘I’m more than halfway done with this life’, and he chooses the pint-half-full option: ‘cause this time I want to get it right’. The track has some tasteful lap-steel and really does become an enjoyable wholehearted sing-along. Another stand out track is ‘The Way That We Live,’ a pleasant acoustic track which moves along with a pace and moves us with the line ‘nobody sees their demons before they strike’. Some nice atmospheric storytelling a la Springsteen in ‘The Road Goes Down’ builds nicely to dramatic climax before leaving us where we started with a voice and acoustic guitar. ‘No Turning Back’ is the tenth and final track of the album (or so we thought…) and brings together some joyful lyrical moments: ‘if you get lost along the way, I’ll lend you a hand’. For the more diligent listener there is a ‘secret’ eleventh acoustic track, another enjoyable song with definite shades of Johnny Cash’s ‘Hurt’. An enjoyable record this. Clearly Philip Marino has a great voice and is capable of writing accessible songs that will relate to many.